Separation Anxiety in simple term is the excessive discomfort or stressful behaviour any pet displays while left on his own for short or long duration of time, in absence of pet parents. Here’s how to make time alone stress-free for your pooch. Like any other behaviour issues, separation anxiety issue starts developing in pets due to ignorance or negligence by pet parents in puppy’s earlier days. Sometimes pets who have nervous temperament or are less confident can develop this behaviour as well. Also it can be seen in adult adopted pets, as they may have never been left alone in their previous home. Excessive barking, crying, howling, etc while left alone. Damaging furniture, excessive chewing, destructive behaviour. Signs of stress such as excessive panting, salivating, licking self vigorously, chasing tail repeatedly. Super hyper behaviour once the family is back. Pups have never been taught to be alone from early days. Over pampering by pet parents such as letting the pup follow them everywhere, all the time in the house such as even in the bathroom. Unknowingly encouraging or rewarding pets with attention, when they show early signs of distress. Letting pets get over attached to one of the family members. Fussing over them once you return home after work or long absence. Failure to miss early signs of anxiety by pet parents and worrying about the problem only when the pet causes serious damage in the house. Here is a step-by-step guide on how to train your pet to be comfortable when left alone. Start early. Get your pup used to being alone for small intervals of time (15-20 minutes) once a day right from the month they come to your home. Schedule time alone: Plan your pup’s schedule in such a way that you can leave him alone when he is mostly sleepy or tired (after his walk). Sensitise him: You can start by leaving the pup alone in a one particular room while you are still in the house, so the puppy can still hear you but can’t see you. Pup-proof the space: During ‘being alone’ time, keep him in a secure part of the house where there is less furniture, things to damage, etc. No fuss: Ignore the pup’s tantrums such as barking, crying, whining, scratching doors, howling no matter what during the ‘being alone’ time. No special attention: Do not fuss over him once the ‘being alone’ time is over, instead let him be in the same room, among family but without any special attention. Make it part of life: Do not make ‘being alone’ time as a punishment; instead treat it just as a part of the pup’s daily routine. Never too late: Teaching an adult/adopted pet to be alone can be difficult considering their history but it’s never too late to start. 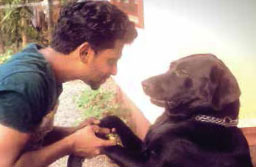 Maintaining the adult pet’s routine i.e. 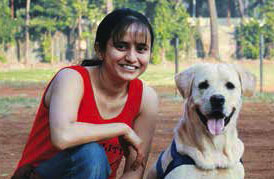 regular walks, daily play time and then making ‘being alone’ time as a part of his routine will surely help. Have patience: Everything needs patience and practice so continue these small sessions till the pup is comfortable and then gradually increase duration. This may take few days/weeks/months depending on the pup’s temperament. Be responsible: Sometimes pet parents are more anxious about leaving pup alone rather than the pup. So as a pet parent it’s your responsibility to teach the puppy good manners and not to expect miracles without putting any efforts. 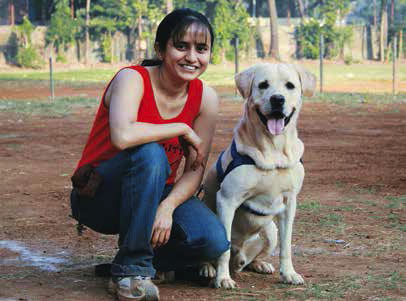 (Pooja Sathe Gawande runs CRAZY K9 CAMPERS in Mumbai providing pets and pet parents unique opportunities to spend quality time together through weekend pet camps).